I've always wanted to try butternut squash, but I keep wussing out. @BD--if you love fall flavors, you'll love butternut squash! I felt the same way for a long time--I like pumpkin, so I stayed within my comfort zone. 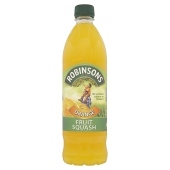 But it's nice to shake things up in the squash world every now and then! First, Canadian Smarties rule! :). We have American Smarties but call them "Rockets" definitely Halloween coal :). Second, our Mars bars are more like milky ways as well, which we don't have in Canada. Instead we have the American Three Musketeers, which is what a Milky Way is everywhere but in the States. I love butternut squash in all it's forms and like your sweet potato bread, would never have thought of using it in a quick bread. And to end my long winded comment, I enjoy your description of "paste-like." I'm going to steal that, I never know what to call that texture, usually referring to it as "gelatin-like" :). I'll just pretend I didn't read that part about pate- my poor brothers and sisters! Then again someone who heard the name of my blog started asking me about confit and foie gras before I told him it was vegan! Well I just realized I read paste, thought paste, now I'm not sure what I was thinking. It's been a long few days :). @MD--but, but--it's not duck bread! They do have vegan pates! Pate-like is a textural thing! The idea of a blog devoted to COOKING duck would be, er, something of a niche audience, I would assume. @Adam--I hear ya about the long few days! Although I think that pate and paste actually are a bit similar--both are descriptive of that 'ultra dense' bread texture that is very different from a fluffy banana bread (which I also love kinds). I may try your PB cookies this weekend! @BD--I think you will like them! A woman in my yoga class made them and liked them--I'm not sure if she did so while in headstand (or at them like that) but she said they came out well! Ahh!!! haha you've got my laughing over here. The smarties are the coal. So true, but i bought a bag with a mix of small sweet tarts ( they look like smarties) and taffy... Long story short a little one came trick or treating and the dad was like "hey they have your favorite... 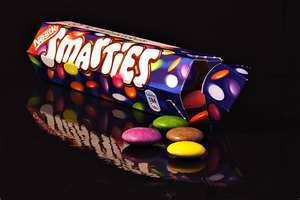 smarties!" I was so upset that they thought I was a cheap scape with candy! I quickly told them it was sweet tarts, but they didn't care. ha.